The United Soccer League has welcomed a new addition to the league for the 2018 season, which will be owned and operated by Atlanta United FC of Major League Soccer (MLS). ATL UTD 2 will compete at Coolray Field, in Lawrenceville, which will have a soccer capacity of 10,427 (click here to see how they plan to make the field soccer ready). The new team was formally introduced to Gwinnett County at a press conference on Monday, Feb. 26, at Infinite Energy Center. In attendance to kick off the exciting news was Atlanta United President Darren Eales, Atlanta United 2’s Head Coach Scott Donnelly, Gwinnett County Board of Commissioners Chairman Charlotte Nash and Gwinnett Sports Commission Executive Director Stan Hall. Atlanta United has set records in its first year in MLS, reaching the Audi MLS Cup Playoffs under the leadership of renowned Head Coach Tata Martino and welcoming more than 800,000 fans – a first for Major League Soccer – during the 2017 MLS regular season. The club has also established a strong Academy system that included three players that featured in the recent 2017 FIFA U17 World Cup in goalkeeper Justin Garces, midfielder Chris Goslin, and forward Andrew Carleton. Both Goslin and Carleton competed on loan for the Charleston Battery over the past two seasons, as did U.S. U20 international Lagos Kunga under the partnership between the two clubs. Atlanta United’s new USL club will join the previously announced Fresno FC, Las Vegas Lights FC and Nashville SC making their debut in the 2018 regular season. 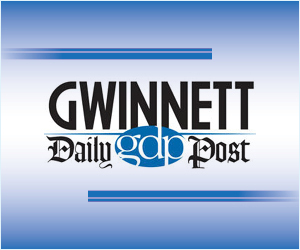 Placing the team in Gwinnett County, which has an estimated population of 907,135, the league will add to its growing footprint of regional rivalries across the Southeast of the United States.